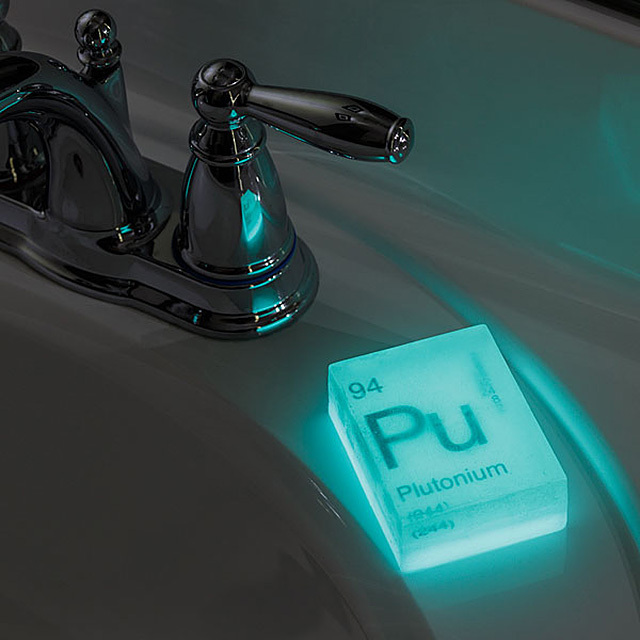 I can't really come up with any real good reason why someone need to buy this set of glow-in-the-dark nuclear element soaps, more than they look pretty cool. But, hey, it's a reason nonetheless. 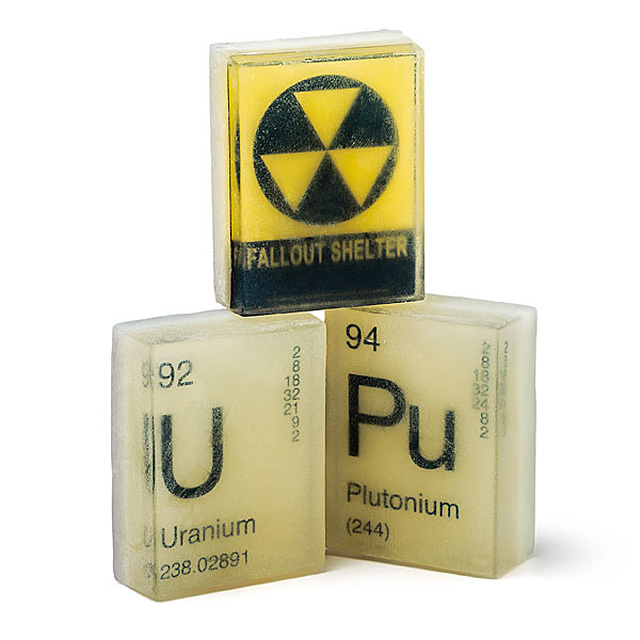 You can buy them over at ThinkGeek for $19.99 (currently out of stock, but available again in February) or via United Nuclear for $25.00.